I was basically looking for a serverless solution that would be independent of our CI so that multiple builds from various sources we have around could push nuget packages in a consistent fashion and we could access them reliably without the burden of maintaining a nuget gallery. I’d argue the need for a full-blown nuget.org-like website/gallery is typically unnecessary, unless you’re hosting this for end users. But for enterprises, internal dogfooding and even personal projects, all you typically need is a reliable and fast feed. Justin Emgarten from the NuGet team at Microsoft pointed me at his super awesome Sleet project which allows you to create such feeds and host them in ASP.NET or Azure Blob Storage. So extending his awesome tool, I created the Sleet.Azure package, which does exactly that. 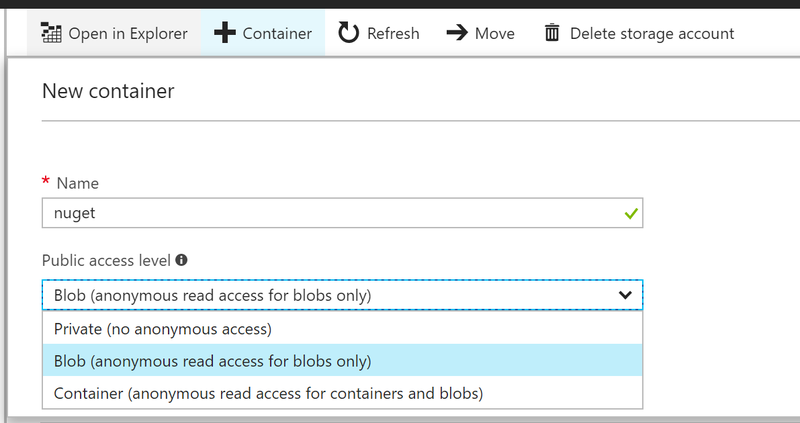 Since we’ll be publishing to Azure Blob Storage, let’s first create the required storage container for that. Head over to the Azure Portal. If you don’t have a subscription yet, you can create one for free. 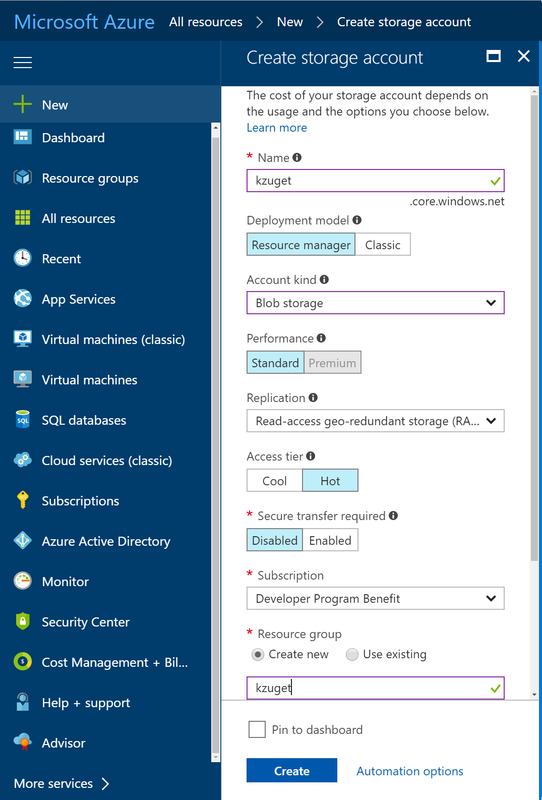 The values in that screenshot for Account kind (Blob storage), Access tier (Hot) and Replication (Read-access geo-redundant storage (RA-GRS)) should be the optimal ones for a static nuget feed. The firt one would be the key1 you copied previously. Storage account would be kzunuget in the screenshots above. And the container would be nuget (the folder). And finally just invoke msbuild /t:push on that project. Combined with trivially created nuget packages in VS2017, this allows you to quickly get a private Azure Storage-based feed up and running with no code and no fuss. You can even trivially enable Azure CDN on it. By default, Push will validate and automatically initialize (if empty or non-existing) the feed on every push. This is a somewhat costly and slow-ish operation. 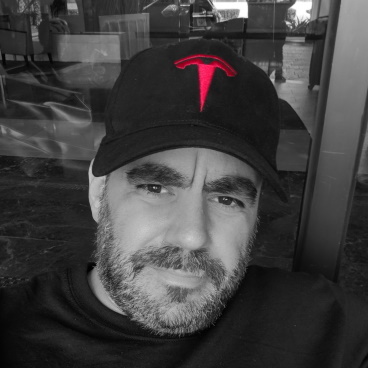 So you can alternatively set <SleetInit>false</SleetInit> (or pass in /p:SleetInit=false) and run the Init target just once before the first Push call. Project "C:\Delete\sleetnuget\build.proj" on node 1 (push target(s)). https://kzuget.blob.core.windows.net/nuget/ is missing sleet files. Use 'sleet.exe init' to create a new feed. The command ""C:\Users\kzu\.nuget\packages\sleet\2.1.0\build\net46\..\..\tools\Sleet.exe" validate -s feed -c C:\Users\kzu\AppData\Local\Temp\tmp3B08.tmp" exited with code 1. Your new feed is now available at https://[STORAGE_ACCOUNT].blob.core.windows.net/[STORAGE_CONTAINER]/index.json, such as https://kzuget.blob.core.windows.net/nuget/index.json in this example. The CDN endpoint for the same feed wuold be https://kzuget.azureedge.net/nuget/index.json if you enabled it. You can check the source at the GitHub project which coincidentally is a nice simple example of a corebuild project that creates its nuget package using NuGetizer 3000 ;).